This colour is absolutely divine on this girl. 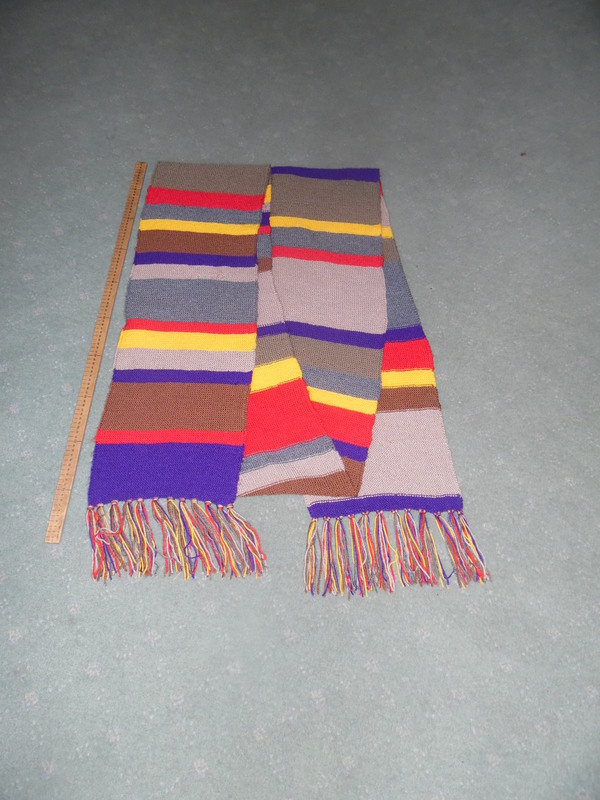 This is 100% pure wool and boy, is it heavy! Just something I’ve been working on for the past few months. I’m new to knitting and these are the first ‘big projects’ I have ever attempted. This was for my oldest who will be 14 in August. 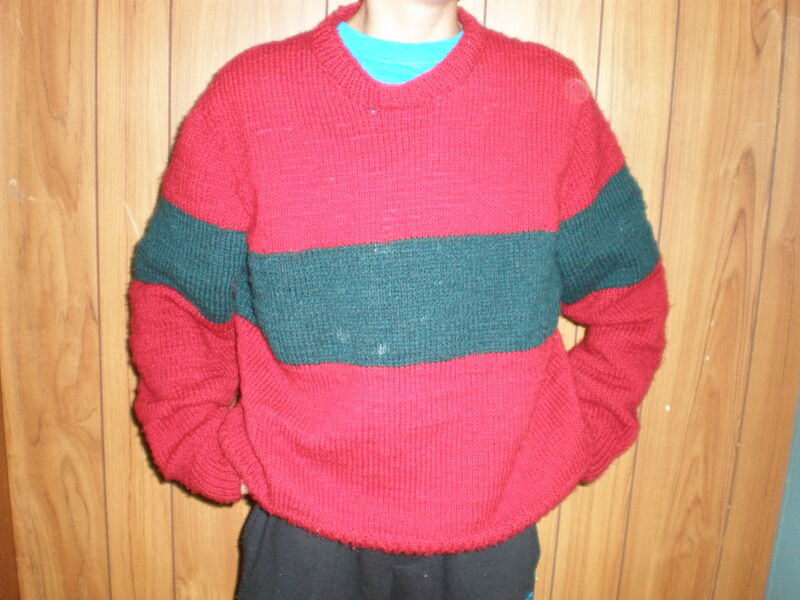 It is a dark red jumper with a green stripe in front (no stripe at the back) and stripes on the sleeves. The pattern I followed does not have a stripe – it is just plain. 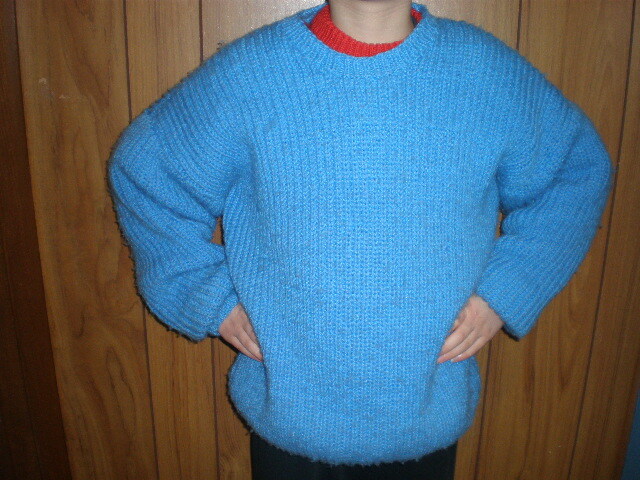 I added the stripe because I was worried I wouldn’t have enough yarn for the entire jumper. Lining up the stripes on the sleeves to the stripe on the body was the hardest thing! 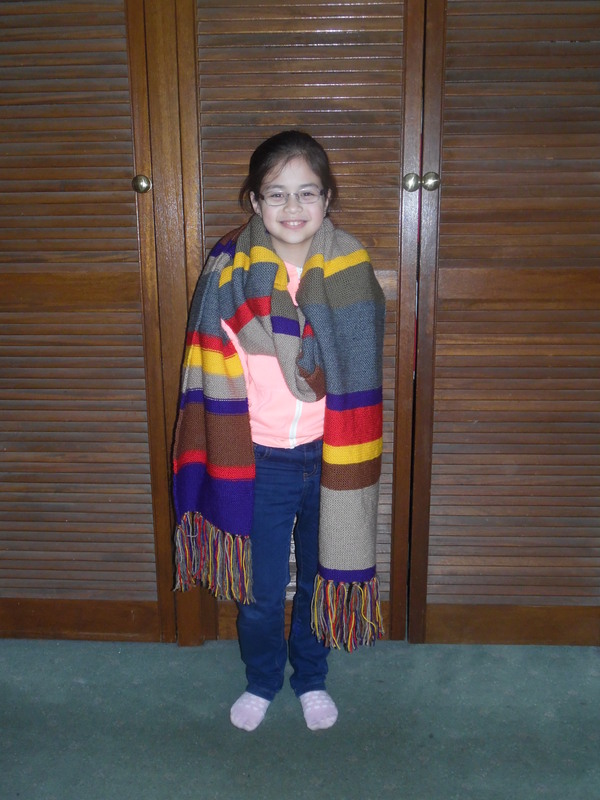 This is my second child, who will be 12 in November. It is purple, which is her favourite colour. 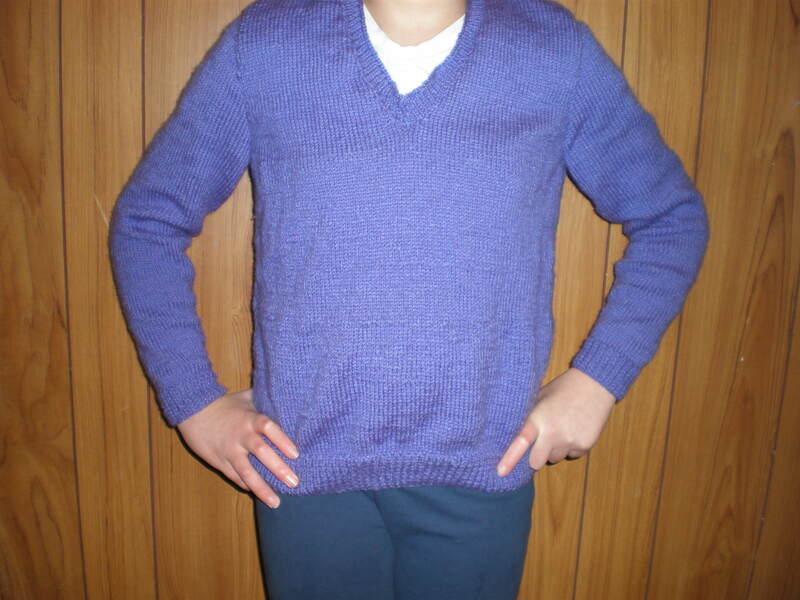 I found set-in sleeves a bit challenging because I found that the length of the top of the sleeves did not match exactly to the armholes of the front and back. But I managed to make it fit in the end. This is my third child, who turned 8 in May. 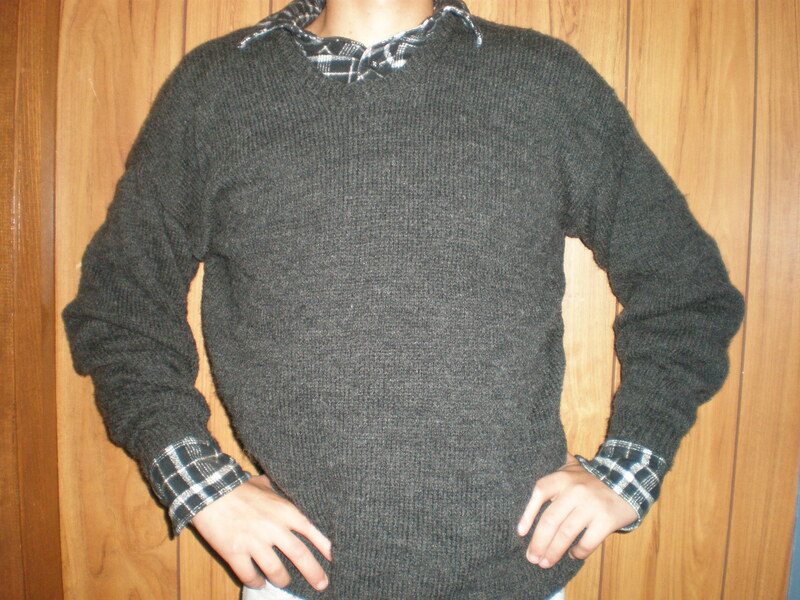 It is a gray with round neck and raglan sleeves. 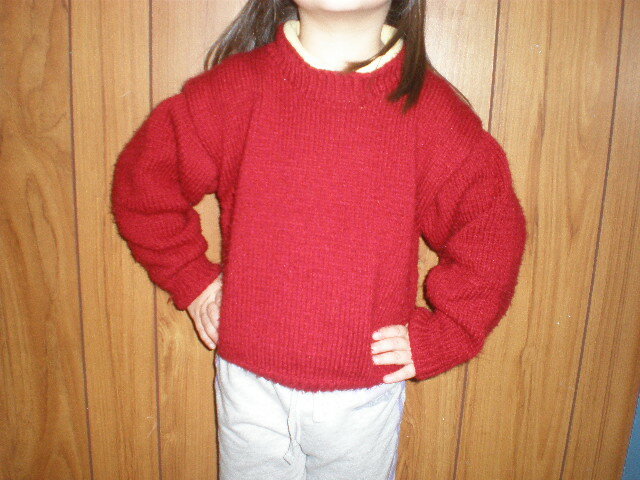 This is actually the first jumper I knitted. It’s pure wool (the others are acrylic) and therefore very warm. 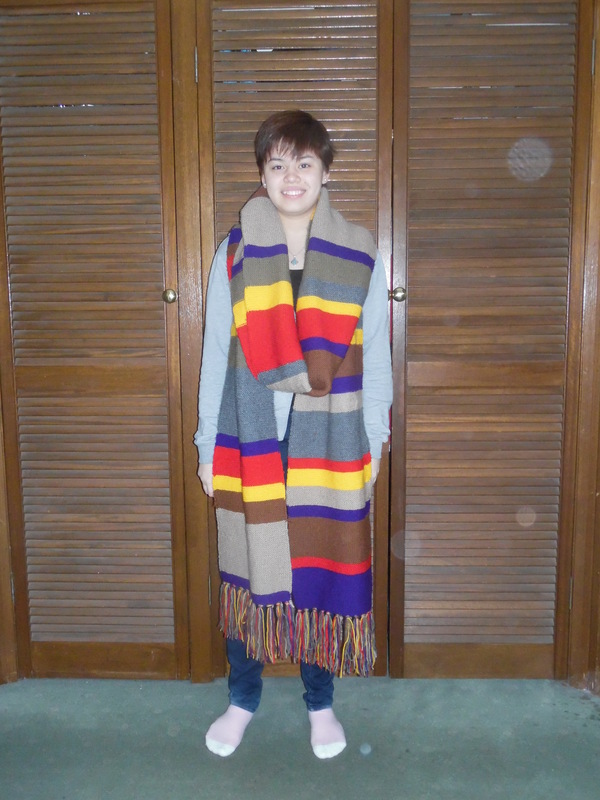 To be honest, I started out knitting this for myself. The pattern called for 11 balls of wool, but I only bought 10 (the lady at the store said I could probably get away with it if I reduced some of the rows from the sleeves and the body). 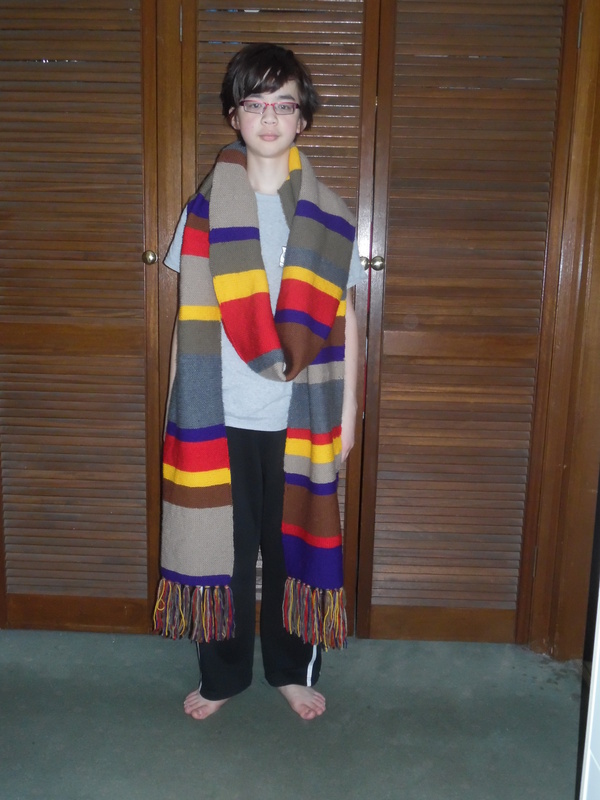 As you can see, it turned out to be too small for me! This is my youngest, who will be 4 in November. 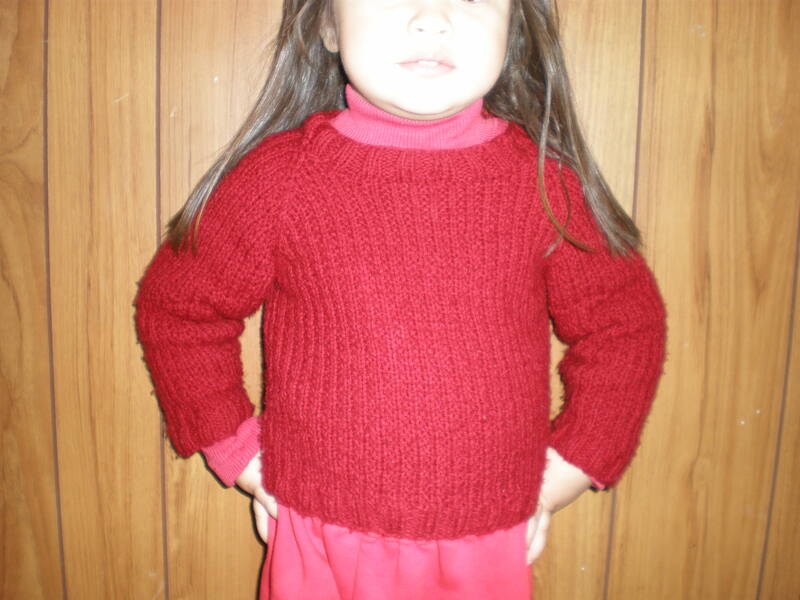 It is the same dark red as the one my oldest is wearing and this colour suits her really well. 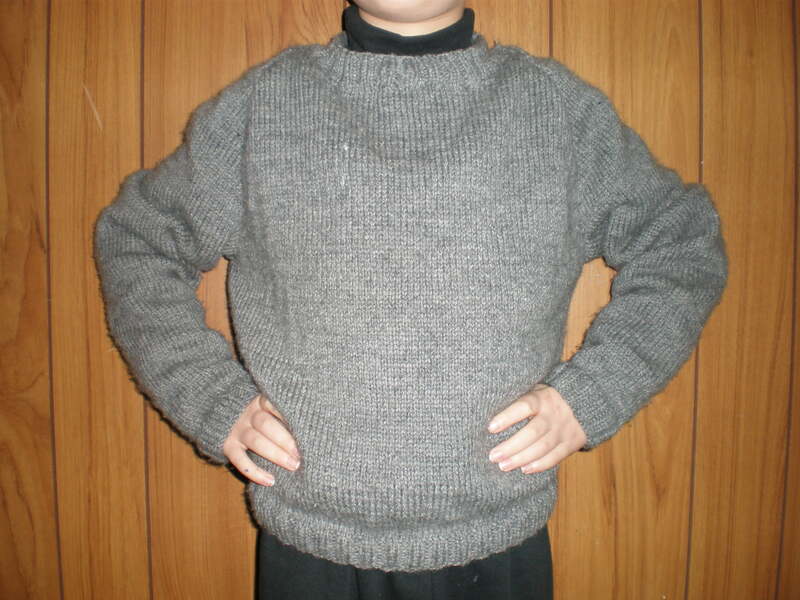 This is the second jumper I made (after the gray one) and I sort of made it up based on the pattern for the gray one. I just reduced the numbers here and there and made it into a fisherman’s rib (rather than stocking stitch).